Continuing to follow the journey of the Moon through all the signs of the Zodiac now comes to Aquarius. The energy of Aquarius represents objectivity and a more mental, analytical approach. Since the energy of the Moon is more emotional the energy of Aquarius is not always the best place for the Moon. It is not so opposite the energy as it was in the sign of Capricorn but it is not very strong here either. The way of the Aquarian energy is to analyze and research. When something does happen there is much more of an objective reaction. However, this is a great time to rally for one’s cause as this is also a very humanitarian energy. Things like defending the underdog or standing up for some social injustice are great ways to use that Aquarian energy. But the downside is the tendency to obsess over matters that are going on. To try and analyze and understand and even predict what direction things are going are all related to that energy of Aquarius. Aquarian energy in general tends to often be a head of its time. The humanitarian aspect in particular can be very much about standing up against and exploiting those issues that are inhuman. It can be a great time to explore the possibilities as the energy of Aquarius can also be very scientific. 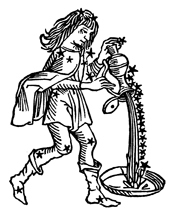 There is a strong ability to do research or take on research projects with this energy of Aquarius. This can be a great time to take advantage and write those papers or work on research projects that can help promote you in the future. This can be a time of discovery as well as a time to look at one’s values and standards and with an objective view look at where you stand within your own evaluations. As with all energies there is a downside, and that is the fact that not only will there be a tendency to obsess but also being so objective that one is considered cold in situations where more emotion is expected. The ability to react is different here due to that concept of objectivity. If one looks at those who are born with the Moon here they too will admit to times when they can be obsessive in their thinking, particularly when something bothers them. This can result in situations where it may be hard to let go, times when they find it hard to think of anything else. By the same token these individuals will also find it hard to tolerate an action they consider inhuman. They will always be the first ones to jump up and defend what they feel are the underdogs in any situation. Here too they can be misunderstood by others due to their own objectivity. Aquarian Moons are seen more by their friends as someone who is more distant or so unique that they are not totally one of the gang. Actually, they can be seen as not only unique but also unpredictable, particularly emotionally. It will be hard to predict how they will react to any situation.